It’s finally here. After two highly praised games, the conclusion to the Mass Effect Saga has arrived. We’re not going to beat around the bush here, Mass Effect 3 is a fantastic game and here’s why. Bioware has crafted a highly beloved universe with the Mass Effect series. So naturally, Mass Effect 3 has quite a few high expectations to live up to. ME3 meets and exceeds these expectations by improving almost every single aspect of the previous two games. 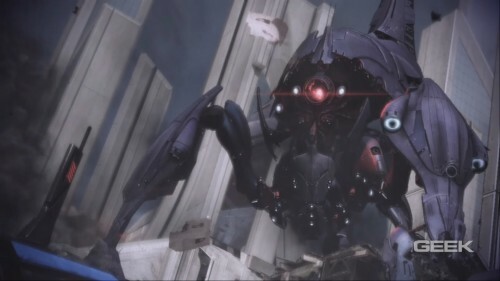 Of course, you are once again playing the role of the legendary Commander Shepard, the brave hero that has now saved the galaxy from the synthetic beings known as “the Reapers” on multiple occasions. 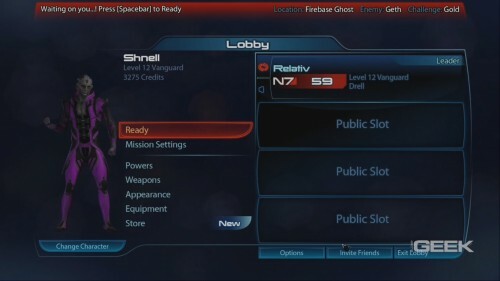 If you’ve played the previous games and kept the save file, you can import that character and all the choices made directly into Mass Effect 3, allowing you to continue your quest for galactic peace with a familiar face. If you haven’t, fear not. Mass Effect 3 does a good job of filling in the blanks. A Reaper dreadnaught attacking earth in all its terror. 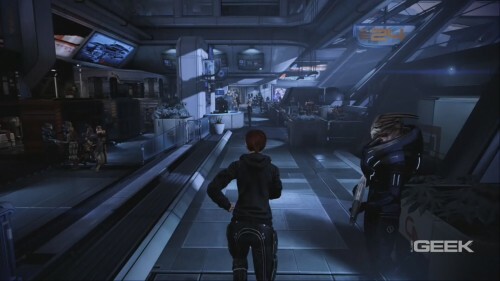 At the offset of the game, Earth is suddenly attacked by the Reapers. With the Human Alliance being vastly outnumbered and outgunned, Shepard is sent off on mission impossible to unite all the sapient races of the galaxy under one cause; to take Earth back and destroy the Reaper threat once and for all. It’s a premise as old as Sci-fi itself, but it works well. The writing and voice acting give the story some much needed weight and urgency, much more so than the previous two games. Sadly, while the storytelling itself is second to none. The same can’t be said for the ending. Without spoiling too much we can tell you that there doesn’t appear to be any obvious link between the choices you make leading up to the finale and the ending itself. In fact, most, if not all of your choices, serve as references between each ending, giving the player a sense of continuity without having much effect on the ending itself. Which boils down to you picking a path at the very end of the game leading to different ending cinematic sequence, all unforgivably similar to one another. In short, we were disappointed. The journey on the way to the conclusion was fantastic, however. Though the ending definitely soured our experience a bit, it was still one hell of a ride. BioWare seems to have found a nice balance between role playing and action this time around. Along with a considerable arsenal of SMGs, Pistols, Rifles, Shotguns and Heavy Weapons, there are plenty of weapon upgrades to choose from. The class powers have also seen an upgrade. Not only are they more dynamic and fun to use, but each power has a mini talent tree associated with it, allowing you to pick different attributes as you level up. It’s a great system that adds some much needed depth to the classes. The Prothean particle rifle in action, cuts through barriers and shields like butter. With all these new guns and powers, it’s only natural to expect some new enemies as cannon fodder. 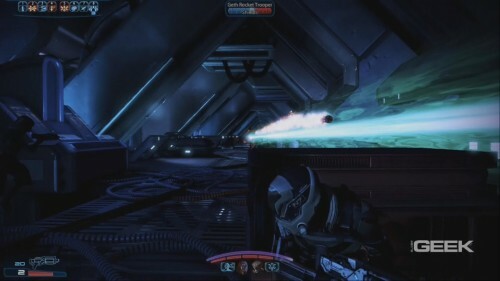 While the last two games focused largely on one single enemy force, Mass Effect 3 will pit you against both human and Reaper forces. Each enemy force deploys a wide range of combatants from snipers, mechs, heavy brutes, banshees, marauders, assassins and more. To say that all these new opponents provide an increased challenge would be an understatement. With that challenge comes a need to play smart and address each situation differently, adding to the fun and longevity of the combat. The conversation system of the last two games is back and largely unchanged. As you engage in a conversation with someone you’ll get to choose from a handful of topics and responses. The dialogue is expertly written and the emphasis Paragon and Renegade points (the games version of good and evil) has been greatly reduced–something we’re happy to report seeing as black and white morality went out of style years ago. The game looks great. It’s got all the bells and whistles we’ve come to expect out of a modern action game; plenty of fancy effects, stunning set pieces and vistas, fantastic animations, and for the most part, high quality textures. What really makes it special is the level design. Everywhere you go looks lived in and authentic. The Citadel in particular is, despite the chaos of war, full of life and its little idiosyncrasies, giving your mind that extra little nudge, immersing you into the Mass Effect universe. Just one of the many great locations found on the Citade. 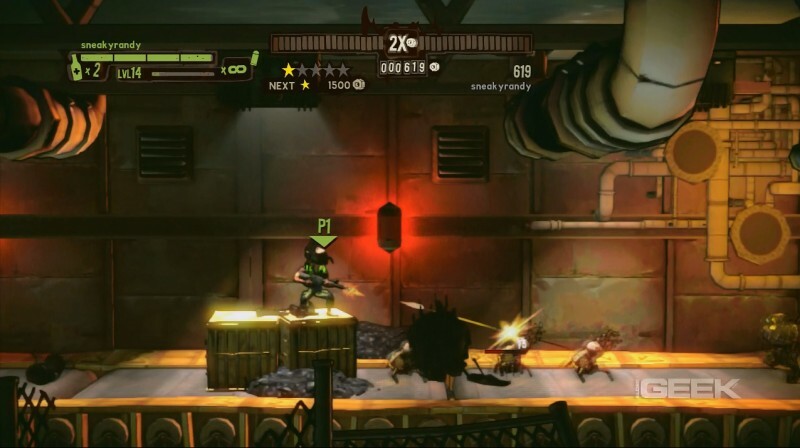 While the singleplayer doesn’t have quite the same level of replayability appeal as Mass Effects 1 and 2, BioWare has seen fit to remedy that with a cooperative multiplayer mode. In multiplayer you can chose between any of the six classes, with four variations within them, each with slightly different power configurations. Once you pick a character you can either join a random game or team up with your friends to defeat three different enemy forces on several different well designed maps. 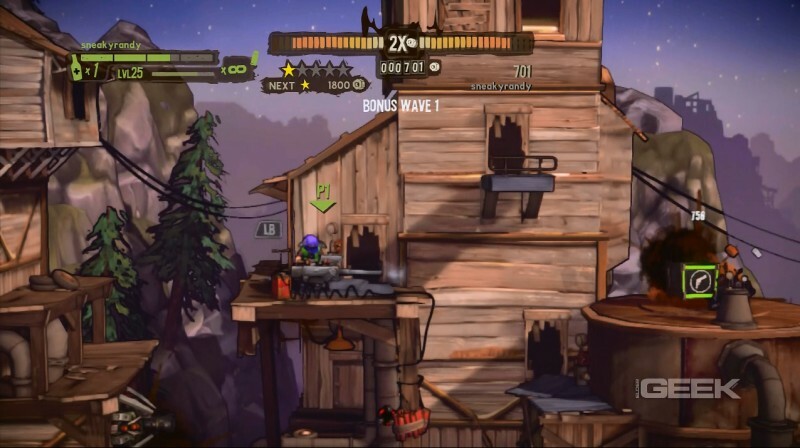 Each game consists of 11 waves, with many waves only clearable after special mission objectives have been completed. As you level up in the multiplayer you can allocate points into different abilities. Although it only takes a handful of matches before you’ve gained enough points to max out, you can only level up one class at a time. 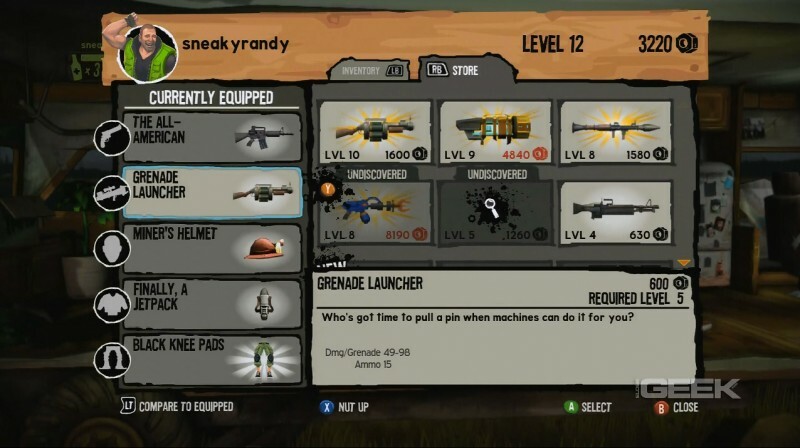 You can also purchase equipment packs from an in-game store. These packs include weapons, mods and upgrades and can be purchased with either credits earned while playing the game, or real world currency in the form of BioWare Points. All in all, the multiplayer is a surprisingly appealing mode. The dynamic of coordinating with your teammates to maximize power effectiveness won’t get old any time soon. If you get the game we definitely recommend also purchasing the DLC “From Ashes.” It includes some very important story details and a new Prothean companion. The fact that Bioware chose to offer this segment of the game up as DLC rather than including it in the main game is definitely suspect given its importance. Ultimately, however, it’s not enough for us to discourage purchase, as we’d definitely say it’s worth the asking price, no matter how dishonorable it may be. Mass Effect 3 is a fantastic game that would no doubt have gotten our Elder’s Choice Award if it weren’t for the disappointing ending and the eyebrow-raising DLC. But while it doesn’t get our award, we still can’t deny the appeal of the varied and intense combat, grandiose and interesting storytelling, the addicting multiplayer, or the vastly improved RPG mechanics. Despite its long-running series, Jagged Alliance: Back in Action is the first Jagged Alliance game we’ve had the pleasure of playing and reviewing. Back in Action is a complete full-scale remake of Jagged Alliance 2 which came out over 10 years ago. We weren’t completely sure what to expect with Back in Action before installing it on our hard drives. Based on the screenshots and videos we found, our impressions could have gone in any number of directions. But for those like us who have never played a Jagged Alliance game, Back in Action feels like a cross-breed of Neverwinter Nights 2 with Ghost Recon Advanced Warfighter. If you’re a fan of either of those series, or better yet, if you’re a fan of both, we advise you to give Back in Action some serious consideration. Just be aware of the game’s rocky edges before making the plunge. 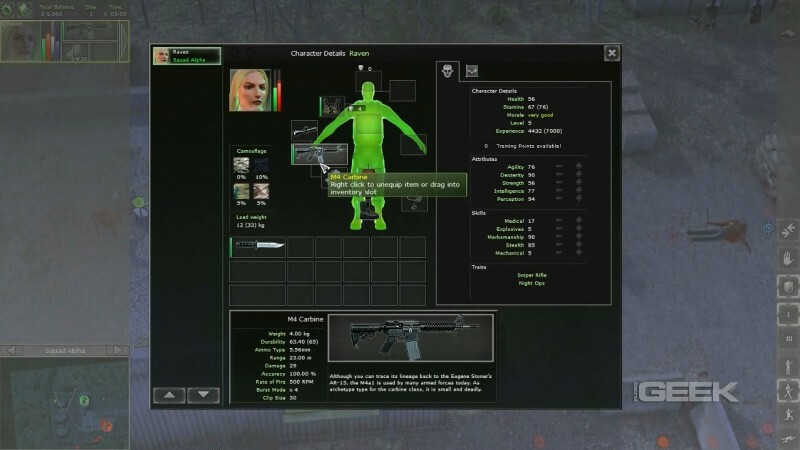 Classic RPG fans will feel right at home with the inventory system. Tactical shooter junkies will love the gear that's available. Set in the fictitious country of Arulco, you are tasked with assembling a rag-tag team of mercenaries to liberate the entire country. How you do it, is completely up to you. You start with a small bank account and a black book of mercenaries. From there, you move from city to city and clear out all the baddies. Gameplay is broken down into two basic areas: the tactical screen and the map screen. From the map screen you can access your email to recruit more mercenaries (if you can afford them). You can order new parts and ammo, or you can order entirely new weapons and gear to be delivered in a day’s time. This is also the area where you move your mercenary squads from one city to another to either liberate them from squatters, or to defend them from counterattacking troops. 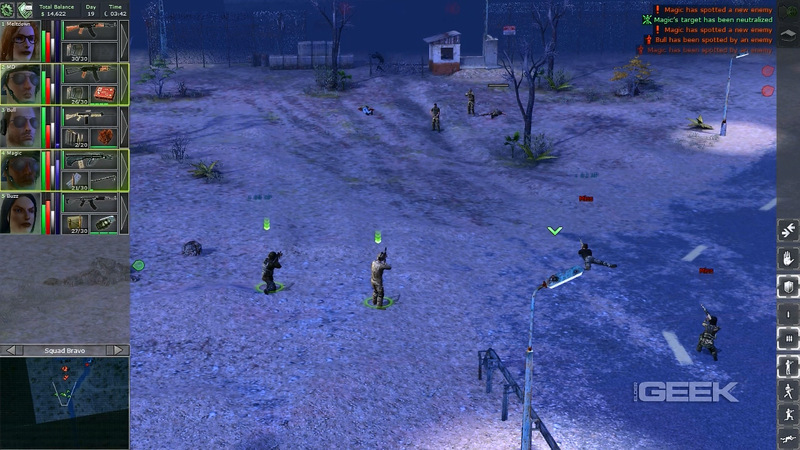 The tactical screen is the 3D field where all the battles take place. Each city and tactical position on the map is unique with their own forests, deserts, urban landscapes, farms, bunkers, and more. From there, you equip your team with weapons, ammo, and gear, and move from point to point eliminating enemies as you go along. As a strategy game, it is never wise to attack the enemy head on. Basic distraction and flanking maneuvers will solve most conflicts, but some firefights require a little more finesse, and that’s where Back in Action shines. By pausing the game, you can assign paths, stances, and targets for your mercenaries. You can even use it to synchronize sniper shots if you wanted to. 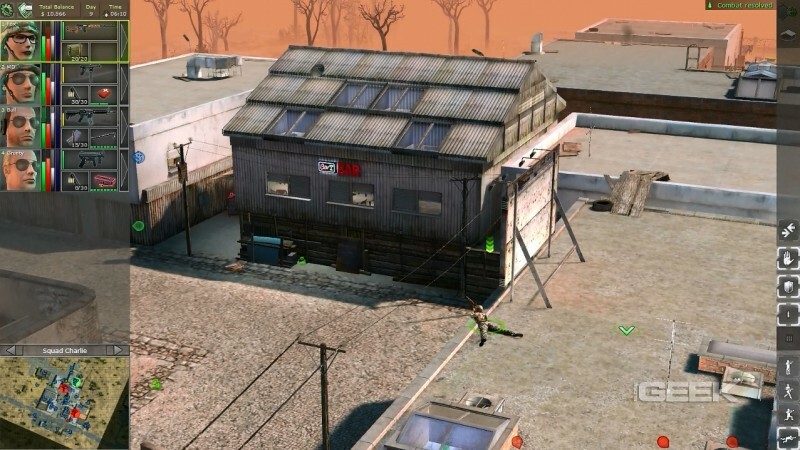 Keeping this bar clear can be a pain, but having a sniper set up on the far roof can help clear out anyone heading towards the door. The game allows for C4 wall breaches, lockpicking, or if you’re a little more on the brute force side, you can pry most locked doors with a good old crowbar. Weapons wear down from usage, but can be repaired with field tool kits. And wounds can be healed by team medics with basic medical supplies. Almost everything from killing enemies to patching up your buddies awards the mercenaries with experience points that can be used to better their stats. And all mercenaries, no matter how elite they are, have room for improvement. And as enemies drop different weapons and ammo, you’re constantly searching for better and better gear which adds a level of Diablo-like addiction while you manage your inventory and equip entire towns with assault rifles to defend themselves. Though extremely addictive, Jagged Alliance suffers from some very serious flaws. For starters, the AI is rock stupid. Pathfinding can be barely functional at times, especially when two or more soldiers are trying to go through the same door at the same time. A Three Stooges effect takes place and both soldiers give up on their orders. And more often than not, even when on defensive mode, if someone is shooting at your soldiers they might be too dumb to return fire. This becomes a real issue as occasional hatchet or machete-wielding enemies will sometimes hack through your entire squad without anyone defending themselves. The voice acting of all the soldiers we’ve tried were terrible. There is an option to turn their audio off, but then you can’t hear them call out items on the battlefield or let them tell you that they’re getting shot from an unknown source. The fire fights can get intense and if you're not careful, your entire squad can be wiped out in the blink of an eye. The camera system could use some major work as well as you try to place it in the correct position. And finally, there is no squad formation selection. As it is, your squad only moves in a tight, circular formation that ends up in more friendly-fire incidents than we’re comfortable with. A simple V-formation or line-formation option would have been greatly appreciated. The challenge level is high enough without needing to compete with your own team. By the time we were finished playing the very-well constructed tutorial, we knew we were going to be hooked. If you can find a way to see through the mess, there is a real gem of a game here that both tactical shooter fans and RPG fans might grow to love. While it is far too unrefined to give an Elder-Geek “worth buying” rating, we strongly urge the curious to give it a try.